The dolls' newly baked gingerbread has real lights! The plates hold Lucia buns and gingerbread biscuits. The boxes are full of chocolates, see for yourself! Put a Christmas present in the parcel. The aprons fit one adult and one child in the doll family. 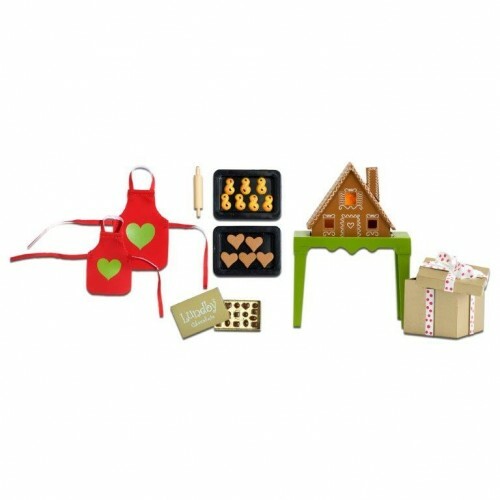 Note this item is for use with the Lundby dollhouse and is intended for ages 3 and up. This is sized at 1:18 scale.